Published on November 28, 2018 at 11:50 pm . 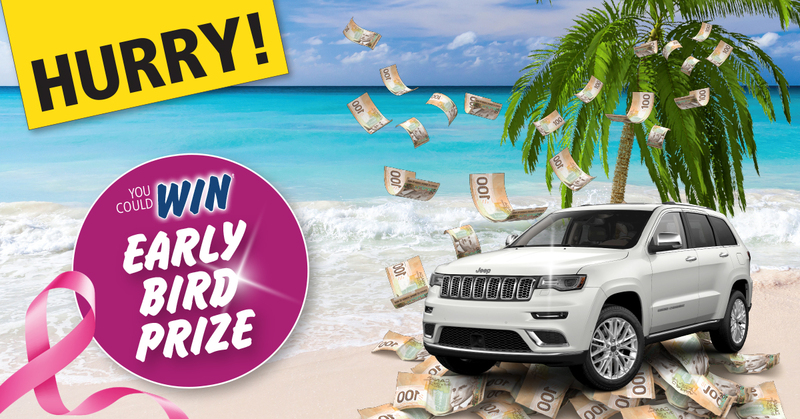 November 29, 2018 — Enter the 2019 Calendars for Cause Sweepstakes before MIDNIGHT TOMORROW and you could win† the Early Bird dream prize package: a 2019 Jeep Grand Cherokee, an all-inclusive trip for two to Mexico and $5000 cash! Hurry, the deadline to enter is midnight, November 30!